When you are visiting a foreign land, pretty much everything is an adventure. 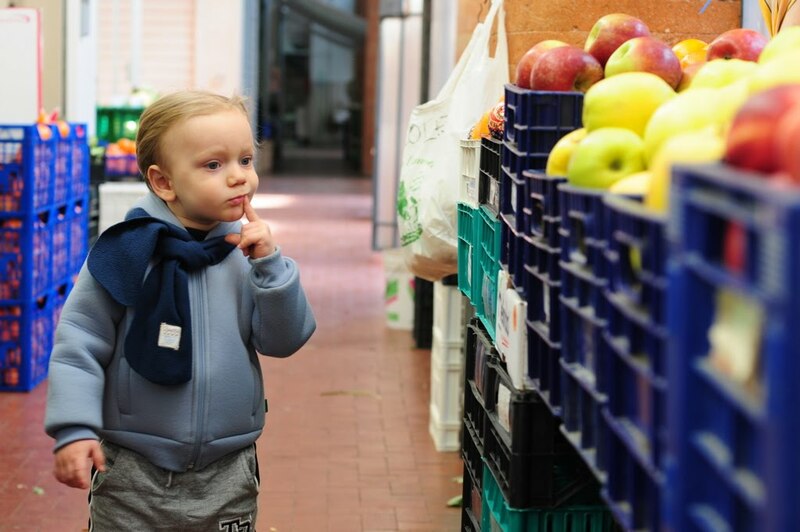 Even visiting the fruit market. I would say the same is generally true if you are less than three years old. Yet, Cisco seemed quite at home while trying to decide which apples he would like to purchase. He must be ahead of the curve. Maneuvering narrow, winding city streets is another adventure most foreigners face while visiting historic cities around the world. Where is our Chicago grid? 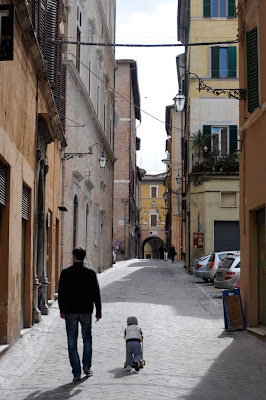 Cisco didn't struggle with this either as he and Ali strolled the centro historico in Jesi.